There is no doubt that kayaking can be both an enjoyable and relaxing sport. Also, there are many different types of kayaks designed to meet your particular needs be it recreation, fishing, exploration, vigorous exercise, or racing. However, when contemplating the purchase of a kayak, it is imperative that you consider your choice carefully in order to insure that you purchase the correct type and model of kayak for your particular purpose. What type of water will you paddle most often? Will you be paddling calm, sheltered, water such as a ponds, lakes, and gentle rivers or will you be paddling on open water where you may be forced to face strong currents, strong winds, and large waves? Will you be paddling over short ranges or long ranges? Some paddlers prefer to stay close to the landing whereas, others like to strike out for parts unknown. Either way is ok.
Will you be paddling alone or with a partner? Solo kayaks have greater maneuverability, tandem kayaks have greater speed. Are you a novice, an intermediate, or an expert paddler? While we all start out as novices, some of us have greater ambitions than others. Thus, choosing a kayak that you can grow into as your skill level improves may or may not be a wise choice for you. How will you transport your kayak and where will you store it? Composite and plastic kayaks are more convenient to use than folding kayaks but, require considerably more space to store and they require a car rack to transport them. Folding kayaks on the other hand, are easier to transport but have to be assembled prior to use. There are many different types of kayaks and each of them is specifically designed for a different purpose. Thus, it is important to understand the difference when choosing a kayak for your particular application. A sit-on-top kayak differs from a sit-in kayak in that it lacks an enclosed cockpit and has self-bailing drain holes in the hull. Also, sit-on-top kayaks feature a double-wall hull construction (as opposed to single-wall construction and bulkheads) which traps air inside of the hull and thus, the main feature of sit-on-top kayaks is that they are literally unsinkable. Plus, they are very easy to enter and exit and thus, they are very popular in warm climates as snorkeling or diving platforms and as fishing craft. Also, as a general rule, they usually range from 10 to 15 feet in length and are relatively wide and thus, they have a high degree if initial stability.Therefore, they are an excellent choice for children, novices, photographers, and fishermen. However, they are best reserved for relatively calm waters since they do not handle particularly well in high winds, large waves, or swift currents because they have poor secondary stability and generally lack either a skeg or a rudder to aid them in maintaining course. In addition, most sit-on-top kayaks are made from rotationally-molded polyethylene plastic and thus, they are very tough but also relatively heavy. Consequently, they are best reserved for recreational and short range paddling use. Pros: They are inexpensive, they have a high degree of initial stability, they are highly maneuverable, and they are tough. Plus, some even have storage wells or bulkheads, holds, and hatches. Cons: They have a low degree of secondary stability, they are relatively slow, they are relatively heavy, and the paddler is exposed to the elements. Recreational kayaks are very much like sit-on-top kayaks in that they are specifically designed for recreational use and short range paddling. Also, they usually feature extra-large cockpits and thus, they are easy to enter and exit. Therefore, like sit-on-top kayaks, they are very popular for use in warm climates and as fishing craft. Also, as a general rule, they usually range from 8 to 15 feet in length and are relatively wide and thus, they have a high degree if initial stability and are highly maneuverable.Therefore, they are an excellent choice for children, novices, and photographers. However, they have poor secondary stability and thus, they are best reserved for relatively calm waters since they do not handle particularly well in high winds, large waves, or swift currents. In addition, most recreational kayaks are made from rotationally-molded polyethylene plastic and thus, they are very tough but are also relatively heavy. Pros: They are inexpensive, they have a high degree of initial stability, they are highly maneuverable, and they are tough. Also, the enclosed cockpit provides the paddler some protection from the elements. Plus, some even have bulkheads, holds, and hatches. Cons: They have a low degree of secondary stability, they are relatively slow, and they are relatively heavy. Fishing kayaks are purpose specific sit-on-top or recreational kayaks designed and outfitted specifically for anglers. Therefore, they have a very high degree of initial stability, are highly maneuverable, and often feature rod holders, cooler wells, and even a built-in tackle box in some cases. Pros: They are inexpensive, they have a high degree of initial stability, they are highly maneuverable, and they are tough. Plus, some even have bulkheads, holds, and hatches. Touring kayaks differ from recreational kayaks in that they generally range in length from 14 to 18 feet in length and, because they are longer and slimmer, they have less initial stability but are significantly faster than recreational kayaks and thus, they are specifically designed for coastal exploration and long range paddling. Also, they generally have smaller cockpits than recreational kayaks and their hulls are specifically designed to manage rough water. In addition, they also feature bulkheads, holds, and watertight hatches which provide floatation in the event of a capsize as well as providing dry storage space for gear. Plus, most touring kayaks feature either a retractable skeg or a rudder. Last, touring kayaks are commonly made from rotationally-molded polyethylene plastic, thermoformed ABS, or various composites. Pros: They have a more efficient hull design and thus, they require less effort to propel. They have a greater degree of secondary stability, they are specifically designed to carry moderate loads, and to handle rough seas. Bulkheads, holds, and hatches increase both safety and storage space and provide easy access to your gear. Cons: They are less roomy, they have a lesser degree of initial stability, and they are more expensive than sit-on-top or recreational kayaks. Like day-touring kayaks, expedition kayaks are also relatively long and slim but, have greater volume for more gear carrying capacity. Also, they generally range in length from 16 to 20 feet and, because they are longer and slimmer, they have less initial stability but are significantly faster than sit-on-top or recreational kayaks because they are specifically designed for long range paddling and carrying large loads. Also, they generally have smaller cockpits than recreational or sit-on-top kayaks and their hulls are specifically designed to handle rough seas. In addition, they also feature bulkheads, holds, and watertight hatches which provide floatation in the event of a capsize as well as providing dry storage space for gear. Plus, most expedition kayaks feature either a retractable skeg or a rudder to aid in tracking. Pros: They have a more efficient hull design and thus, they require less effort to propel. Also, they have a greater degree of secondary stability. Plus, they are specifically designed to carry large loads and to handle rough seas. Bulkheads, holds, and hatches increase both safety and storage space and provide easy access to your gear. Cons: When paddled unloaded, they have a lesser degree of initial and secondary stability than day-touring kayaks. Multi-piece kayaks are composite day-touring or expedition kayaks that are designed to disassemble into three or more separate sections via integral bolts and nuts for more convenient travel and storage. Modular kayaks are multi-piece sit-on-top, recreational, and day-touring kayaks made from polyethylene plastic with sections that are designed to be snapped together for easier storage and transport. Pros: Multi-piece kayaks require less storage space and they are easier to ship to you paddling destination. Modular kayaks are quick to assemble and additional sections can be purchase to create a tandem or triple kayak. Cons: They are more expensive than their single-piece counterparts and they are also heavier. They require more storage space than folding or inflatable kayaks. Skin-on-frame kayaks are the earliest form of kayak technology and they consist of a lashed, wooden, frame covered by a “skin” consisting of seal and/or walrus hide, cotton canvas, ballistic nylon, or polyester fabric which is then sealed with animal fat or a modern sealant. There is a growing interest in this type of kayak among those who favor traditional paddling techniques and thus, there are now several small shops custom crafting these kayaks to individual specifications. Pros: They are extremely lightweight and amazingly tough. They are aesthetically pleasing. They feel completely different on the water from a rigid wood, plastic, or composite kayak. Cons: They lack bulkheads and hatches and thus require air bags and/or a sea sock for safety. They are less durable than hard shell kayaks. 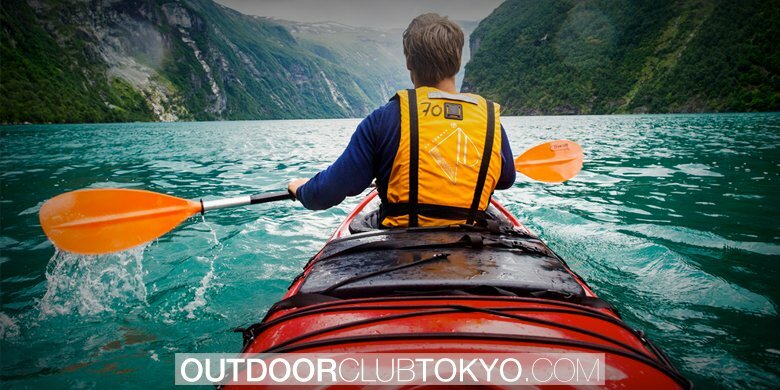 Folding kayaks are modern, collapsible, versions of a skin-on-frame kayak which are designed to disassemble and fit into one or two, backpack sized, duffle bags. Therefore, due to their rigid, aluminum, frame, they deliver performance similar to wood, plastic, or composite kayak and yet, offer the ease of storage and transport that an inflatable kayak does. Furthermore, they are relatively simple to assemble and commonly only require 15 to 20 minutes do so. Pros: They arevery portable for easy storage and transport. They have better performance than inflatable kayaks. Cons: The require a certain amount of time to assemble. They are less durable than hard shell kayaks. 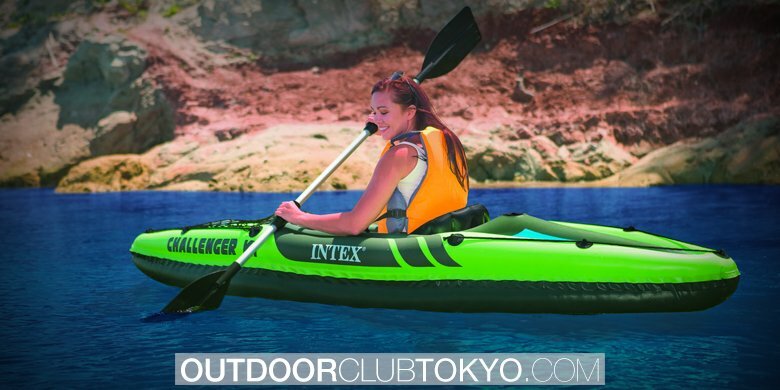 Inflatable kayaks are essentially a blow-up version of a recreational kayak in that they are usually short and wide and thus, they have a high degree of initial stability and are specifically designed for short range paddling excursions. Also, some designs have rigid frames which improve performance while others have optional keelsons which stretch the entire length of the floor panel to reduce wave undulation and improve tracking. In addition, they are usually made of PVC-coated polyester and they generally range in length from 10 to 15 feet. Yet, they are significantly lighter than either plastic or composite kayaks. Pros: They are extremely lightweight and amazingly tough. They are highly portable and easy to store. Multiple compartments enhance the safety of the craft. Cons: They require an air pump and a certain amount of time to inflate. They have less efficient hull designs and are less durable than hard-shell kayaks. Composite construction is by far the most popular type for touring and expedition kayaks because it is both lightweight and rigid. Also, because composite kayaks are very rigid, they provide the designer with the freedom to create shapes that simply are not feasible with polyethylene. Therefore, as a general rule, composite kayaks have far more efficient hull designs, and thus require less effort to paddle, than kayaks made from polyethylene. In addition, composite construction is significantly lighter in weight that polyethylene construction and, composite kayaks can be ordered from the manufacturer in a wide variety of custom deck, hull, and trim colors whereas, polyethylene kayaks are only available in a few, predetermined, colors. Furthermore, today’s composite kayaks are available in three basic layups consisting of fiberglass/e-glass (aka Glass Reinforced Plastic), Kevlar, and Carbon with some manufactures offering light, standard, and heavy variations of each basic layup to meet different needs and weight specifications. However, it should be noted that although both Kevlar and Carbon constructions are significantly lighter than fiberglass/e-glass construction, they is also more fragile. Therefore, an impact violent enough to punch a hole in fiberglass kayak would merely crush the hull of a Kevlar kayak. However, an impact violent enough to crush the hull of a Kevlar kayak would not necessarily be strong enough to punch a hole in a fiberglass kayak. Carbon on the other hand, is significantly lighter than Kevlar construction but, it is also significantly more fragile and thus, must be treated with the utmost care. Consequently, although fiberglass/e-glass construction is heavier than either Kevlar or Carbon construction, it is also noticeably tougher whereas, although Kevlar and Carbon constructions are lighter than fiberglass/e-glass construction, they must also be treated more gently. Last, when using composite construction, the fabric or fabrics used are there to provide structural integrity while the epoxy resin used to impregnate the fabric provides rigidity and the gel coat used to cover it provides the resin UV protection. Also, the less epoxy resin to cloth there is in the layup, the stronger (and lighter) the kayak will be and thus, some composite kayak manufacturers use a process called vacuum bagging to eliminate any excess epoxy resin in the layup. But, this process is more costly and more time consuming to employ and thus, only the better quality kayaks are vacuum bagged. Wood kayaks are available in two different types of construction consisting of stitch-and-glue and cedar strip. Also, as the name implies, stitch-and-glue kayaks are made from sheets of marine grade plywood that have been stitched together using small lengths of wire until the glue holding the seams dries and then, the completed hull is covered in a thin layer of fiberglass. Whereas, cedar strip kayaks are, again as the name implies, made from thin strips of cedar placed adjacent to each other over a form and then glued together and the finished hull is covered in fiberglass. Thus, wood kayaks can range from the merely utilitarian stitch-and-glue plywood kayak to cedar strip kayaks that are absolutely amazing demonstrations of the carpenter’s and kayak builder’s arts. However, marine grade plywood is not particularly flexible and thus, kayak designers are very limited in the types of designs they can create using stitch-and-glue construction whereas, cedar strips are far more flexible and thus, more intricate shapes can be achieved using cedar strip construction. On the other hand, stitch-and-glue kayaks require considerably less time, effort, and skill to build than cedar strip kayaks do and the materials are cheaper. Consequently, stitch-and-glue kayaks are generally cheaper than cedar strip kayaks. Linear: The most common type of polyethylene used for kayaks. Also known as single-layer polyethylene, it provides good performance at a reasonable price. Super Linear: A significantly lighter, tougher, stiffer and more UV resistant polyethylene than Linear PE and, as a result, it costs more. Cross-linked Polyethylene (aka PolyLink3/Triple Tough or3-layer polyethylene): This type of kayak construction consist of a closed-cell foam core sandwiched between two layers of linear polyethylene. Like Glass Reinforced Plastics, the foam core adds structural integrity, stiffness, and floatation. Also, there is a newer version called “variable-layer polyethylene” which strategically places layers of foam-core of varying thickness throughout the hull for improved hull efficiency. This type of kayak construction consists of acrylic laminated to ABS plastic which creates a glossy finish that is similar to composites in appearance and performance and, although it is somewhat heavier than composite construction, it costs much less. Also, it’s significantly lighter than polyethylene and is more resistant to abrasion and gouges and, if it does acquire a gouge, it is repairable. This is a flexible, cloth-like, thermoplastic, material is used to construct inflatable kayaks because it is generally very tough and resistant to abrasion and punctures. Also, it is available in a variety of thicknesses. Fish Form kayaks are those on which the widest point (beam) of the kayak is located forward of center. Of the three different kayak hull shapes, Fish Form hulls are the most stable and thus, they are by far the most popular. However, they are also the slowest kayak hull shape because the beam has to punch a hole in the water for the rest of the kayak hull to pass through. Symmetrical kayaks are those on which the widest point (beam) of the kayak is located in the exact longitudinal center of the hull. Of the three different kayak hull shapes, Symmetrical hulls are the best compromise between stability and speed. Swede-form kayaks are those on which the widest point (beam) of the kayak is located aft of center. Of the three different kayak hull shapes, Swede Form hulls are the least stable and thus, they are the least popular. However, they are also the fastest kayak hull shape because the beam is located behind the paddler and thus, the beam is able to more gently open a hole in the water for the hull to pass through. Secondary stability on the other hand, is a measure of how stable a kayak feels when it’s leaned onto its side. Therefore narrow kayaks have a high degree of secondary stability and wide kayaks have a low degree of secondary stability. Also, as a general rule, soft chined kayaks have a low degree of secondary stability and hard chined kayaks have a high degree of secondary stability. Consequently, Swede Form, soft-chined, kayaks are like Porsches and Fish Form, hard-chined, kayaks are like Hummers. The sides of a kayak extend from the waterline to the deck and affect both the secondary stability of a kayak and the ability to right it after a capsize. Flare is the angle of a kayak’s sides outward from the hull. The greater the flare, the greater the stability is because the boat sits deeper in the water. Kayaks with flared sides have greater stability but are more difficult to turn rightside-up. Tumblehome is mostly associatedwith canoes but can apply to wider kayaks where the sides can curve inward as they rise to the gunwale. This creates a narrower deck which makes it easier to paddle yet still provides good stability. Straight sides are in between a flared hull and tumblehome hull. Long kayak hulls are faster than short kayak hulls of the same width because they have a longer waterline length. However long kayak hulls are also less maneuverable than short kayak hulls. In addition, wide kayaks are slower than narrow kayaks because they have a greater wetted surface area but, they also have more initial stability and less secondary stability than narrow kayak hulls whereas, narrow kayaks are faster than wide kayaks because they have less wetted surface but, they also have less initial stability and greater secondary stability. Therefore, hull designs with a high degree of initial stability are very stable on flat water but, are not stable on rough seas. Yet, hull designs that have a high degree of secondary stability handle rough seas with ease but, are not very stable on flat water. Consequently, long, narrow, kayak hulls are the fastest, but least stable and least maneuverable, hull design and short, wide, kayak hulls are the slowest but, most stable and maneuverable, hull design. The chine is the part of the kayak hull where it transitions from the bottom to the side and they can be either “soft” or “hard”. A kayak hull with a soft chine has a gently rounded transition from the bottom to the side and, because it has less forward resistance and less wetted surface area, kayaks with soft-chined hulls are faster than kayaks with hard-chined hulls. A kayak hull with a hard chine has a sharply intersected transition from the bottom to the side and, because it has greater forward resistance and greater wetted surface area, kayaks with hard-chined hulls are slower than kayaks with soft-chined hulls. On the other hand, hard-chined kayak hulls have a significantly higher degree of secondary stability than soft-chined kayak hulls. Thus, many experienced paddlers prefer soft chines for calm water and hard chines for rough water. Kayaks with rounded hulls have a smooth, continuous, curve from chine to chine whereas kayaks with shallow V hulls have an angle originating at the keel and sloping upwards to the chines. Also, rounded kayak hulls tend to have a higher degree of initial stability than shallow V kayak hulls. However, it should be noted that rounded kayak hulls go hand-in-hand with soft chines and shallow V hulls go hand-in-hand with hard chines. Thus, kayaks with rounded bottoms and soft chines have the greatest degree of initial stability and the least degree of secondary stability but are faster than kayaks with shallow V hulls and hard chines. Whereas, kayaks with shallow V hulls and hard chines have the least degree of initial stability and the greatest degree of secondary stability but are slower than kayaks with rounded bottoms and soft chines. The volume of a kayak is a measure of the amount of water the entire kayak would hold if it was filled to the brim. Thus, as a general rule, high volume kayaks have significantly higher decks (measured from the keel to the forward edge of the cockpit rim) than low volume kayaks so that they can accommodate larger paddlers and/or carry more gear. Low volume kayaks on the other hand generally have significantly lower deck heights than high volume kayaks to accommodate smaller paddlers or to make rolling the kayak easier. A skeg is an internal, retractable, rudder that can be lowered or raised at will to aid in preventing the stern of the kayak from “weathercocking”. Whereas, a rudder is a like an external skeg that has the ability to move left and right in addition to up and down and is controlled by adjustable foot pegs located inside of the cockpit. While there is considerable controversy amongst experienced paddlers as to which one is better, the fact is that a skeg has fewer moving parts to wear out or break and, because skegs are not connected to the foot pegs via cables, the foot pegs remain in a fixed position and thus, skegs do not adversely affect bracing. However, the “skeg box” contained inside the rear hold does limit dry storage space. A rudder on the other hand does not limit dry storage space but, because the rudder is connected to the foot pegs via cables, the foot pegs are designed to move forward and backward in order to move the rudder left or right. Therefore, most rudder designs do not enable the paddler to brace solidly with their knees. f. Foot Braces – provides support for the paddler’s feet and enables bracing. Skill level: When choosing a kayak, the skill level of the paddler is the first aspect that should be considered. The reason for this is that novices are generally more comfortable (and thus have more fun) in short, wide, kayaks because they are have a high degree of initial stability and they are very maneuverable. However, if you are a more experienced paddler, then you might prefer a longer, slimmer, faster kayak that you can grow into as your paddling skills improve. Stability vs. Speed: Because initial stability and speed are inversely proportional, there are no wide, fast, kayaks. Therefore, when choosing a kayak, you must determine whether initial stability and ease of maneuvering are more important to you or whether you value secondary stability, speed, and the ability to cover long distances more highly. Intended use: How you intend to use the kayak will also affect your choice. For instance, fishing, diving, and photography all require a stable platform. Therefore, sit-on-top and recreational kayaks are good choices for those pursuits. However, striking out to explore swamps, marshes, lakes, bays, sounds, and making long-distance coastal expeditions requires a much more efficient hull design and therefore, day touring or expedition kayaks are called for when following these pursuits. Type of construction: The type of kayak construction you choose is also dependent on the skill level of the paddler and the intended use. For instance, polyethylene kayaks are relatively inexpensive and extremely tough but, they generally have less efficient hull designs than wood or composite kayaks. Therefore, they are a good choice for inexperienced paddlers, recreational use, and rocky shores. Composite and wood kayaks on the other hand, generally have much more efficient hull designs but, are not as tough as polyethylene and, they generally cost quite a bit more. On the other hand, if your storage space and/or transportation is limited, then you might choose a folding or inflatable kayak instead. Volume & Comfort: Both volume and comfort are also important factors when choosing a kayak. For instance, larger paddlers require higher volume kayaks to accommodate them while smaller paddlers need lower volume kayaks to fit them correctly. However, paddlers of any size require more volume for gear storage space when participating in long range, multi-day, paddle trips. Also, cockpit comfort is of paramount importance when choosing a kayak. However, what is comfortable for one purpose may not be comfortable for another. For instance, sit-on-top and recreational kayaks have large cockpit openings to make frequent entry and exit easy and, because they were designed to be paddled for short periods, they do not commonly have a high degree of ergonomic outfitting. But, because paddler’s regularly spend the entire day in their touring and expedition kayaks, ergonomic outfitting such a comfortable, adjustable, back band, seat cushion, and thigh braces are must have items for all day comfort. Northwest vs. British style kayaks: When choosing a day-touring or expedition kayak, you may notice that these kayak designs are clearly divided into two separate categories consisting of Northwest kayak designs and British kayak designs. The main difference between these two styles of modern sea kayak is that Northwest style kayaks are based on ancient Alaskan Inuit kayak designs whereas, British style kayaks are based on ancient Greenland Inuit kayak designs. In addition, designers of Northwest style kayaks tend to prefer rudders whereas, designers of British style kayaks tend to prefer skegs. Furthermore, designers of Northwest style kayaks tend to prefer rounded bottoms and either soft chines or multi-chines whereas designer’s of British style kayaks tend to prefer shallow V bottoms and either hard chines or modified hard chines. Singles vs. Doubles: For those of you who prefer to paddle individually, there are numerous different types of solo kayaks on the market today. However, for those of you who prefer to take a partner along, many kayak manufacturers offer tandem and even triple kayak designs. Also, some recreational kayaks have extra large cockpit openings so that you can bring along your child or the family dog for some quality time on the water. Cost: Obviously, cost is also an important factor when choosing a kayak. Therefore, the relatively low cost of a polyethylene kayak and/or its toughness may offset lack of speed offered by the less efficient hull design. However, composite and wood hulls provide far greater efficiency and thus, require less effort to paddle but, they also cost significantly more than polyethylene kayaks. Try Before You Buy – There are many different well organized paddle festivals held in numerous different locations each year as well as local “demo days” sponsored by local outdoor outfitters and canoe and kayak specialty shops. Thus, a Web search for these types of events should enable you to locate one near you. 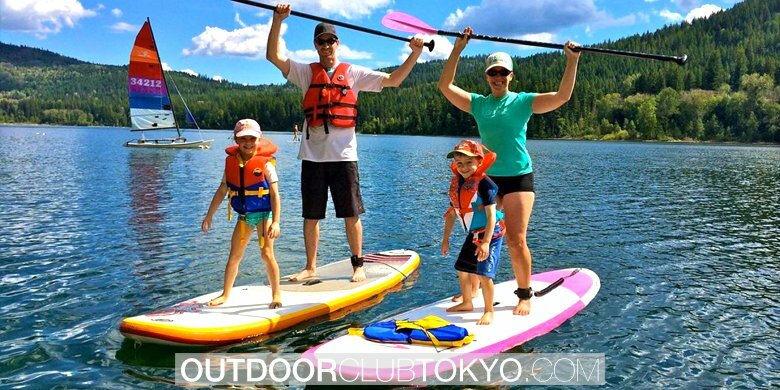 At these events, you will actually be able to paddle several different brands and models of kayaks on calm water to see what fits you best and what you like best. Paddle: Once you do purchase a kayak, you will have to have a paddle to propel it. However, be aware that paddles are available in European, Greenland, and Aleutian styles as well as wood, fiberglass, and carbon construction with many different lengths available. Spray skirt: A spray skirt is another essential accessory for your kayak because it seals your cockpit in order to keep out water. It also serves to provide some extra protection from sun, wind, and cold. PFD: Having a Personal Flotation Device on board at all times is essential to proper kayak safety and wearing it at all times may save your life. Car rack: Once you have purchased a kayak, you will need a way to transport it to and from your paddling destination. Thus, some manner of car rack is necessary. Compass: Many paddlers like to have a compass mounted on their forward deck to aid in navigation. Deck bag: Deck bags provide the paddlers with extra dry storage space that is easily accessible from the cockpit. Dry top: A Dry Top is a waterproof jacket with either rubber or neoprene seals at the neck, wrists, and waist and serves to keep the paddler’s upper torso dry in the event of a capsize. Dry pants: Dry Pants are waterproof pants with either rubber or neoprene seals at the waist and ankles and they serve to keep the paddler’s lower torso dry in the event of a capsize. Dry suit: A Dry Suit is a waterproof suit with either rubber or neoprene seals at the neck, wrists, and ankles with a waterproof zipper to allow the paddler entry and exit and it serves to keep the paddler’s body dry in the event of a capsize. Footwear: Some paddlers prefer to use specialized rubber or neoprene footwear when paddling. Helmet: All paddlers who paddle in the surf zone, tidal races, rock gardens, and rivers should wear a white water paddling helmet. Always wear your Personal Flotation Device (PFD). Always wear a helmet when paddling in the surf, tidal races, rock gardens, or on rivers. Always paddle with a partner when possible. When paddling in an unfamiliar area, obtain local information regarding currents, shoreline conditions, and weather patterns. Use this information to plan your excursion and plan an alternative location to land and get off the water should weather conditions require it. Always file a paddle plan with someone you know which includes where you will be paddling, what time you expect to return home, and how many people are in your party. Then, stick to your plan. Always be aware of the weather conditions and be prepared for rapid changes. Also, be aware of the water temperature and prepare for the possibility of a capsize by dressing accordingly. Beware of strong winds that can create rough conditions and make it difficult to return to shore. Practice self-rescue techniques in calm water first and then in rough conditions until you are comfortable with them. Always carry appropriate safety gear. Paddling requires energy. Always bring more food and water than you think you will need. Paddle Leash – keeps your paddle secured to the kayak so that it will not be lost in the event of a capsize. Spare Paddle – Provides and alternate means of propulsion if you lose or break your main paddle. Paddle Float – This device aids in self rescue. Bilge Pump – Enables you to remove the water from your cockpit after a capsize and reentry. VHS radio – enables you to contact any other watercraft in the area and to broadcast an S.O.S. on the emergency channel. EPIRB – Emergency Position Indicator Radio Beacons broadcast an electronic S.O.S. to an orbiting net of SARSAT satellites which then relay it to local authorities who then dispatch a rescue mission. Also, broadcasts an S.O.S. to any passing civilian and military aircraft. Flares – Used to attract rescuer’s attention to your general position. Strobe Light – Attaches to your PFD and emits a very bright, white, intermittent, flash that enables rescuers to pinpoint your exact position even in daylight. Entering and Exiting a Kayak – Before entering the kayak on the water, make certain that the foot pegs and back band are properly adjusted to fit your anatomy. Then, place the kayak in the water parallel to the shore, place your paddle shaft behind the cockpit or seat with one blade extended to rest on the shore, and hold in place while you enter or exit the kayak to provide stability. Relax and enjoy – Kayaks have magical sixth sense that tells them when their paddlers are tense. Thus, they use your lack of control to behave badly. Instead, relax your body and hold you paddle in a relaxed manner. This enables you to orient your blades and gain reach without stressing your wrists. To find the right hand position, hold the paddle horizontally in front of you with your elbows held against your sides and your arms held parallel so that your arms form right angles with the paddle shaft. Then, paddle smoothly and do not try force the kayak forward. Use the Paddle Properly – Many European style paddle blades have asymmetrical, spoon shaped blades. The spooned powerface is designed catch and hold the water better for more power with each forward stroke. The other side (called the backface) is used also for certain strokes such as the reverse stroke and reverse sweeps. When using asymmetric paddle blades, always keep the long edge facing up. Moving Forward – When paddling, rotate your upper torso without leaning forward and plant the blade as far forward as you can comfortably reach. Draw the paddle to the rear parallel to the side of the kayak by rotating your upper torso instead of pulling back with your arms while at the same time pushing forward on the same side foot peg with your foot. When cruising, use a low paddle angle but, for more powerful strokes, tilt the paddle shaft more verticaly which places the blade closer to the boat for a more powerful stroke. Paddle Gently – Kayaks respond far better to finesse than they do brute force. Therefore, hold you paddle loosely and paddle gently and your kayak will dance instead of fighting you. Q: Which is better for me, a canoe or a kayak? A: As a general rule, kayaks are faster, more maneuverable, and more comfortable than canoes are because they have narrower hulls, respond to leaned turns, and sit lower to the water. Also, when paddling a kayak, the paddler sits in a reclined position and uses their feet in conjunction with the paddle to propel the craft. But, a canoeist sits well above the water line in a wide open cockpit in an upright sitting or kneeling position and uses only the paddle to propel the craft. Q: Does kayaking require a lot of upper body strength? A: Kayaking does not require a lot of upper body strength. 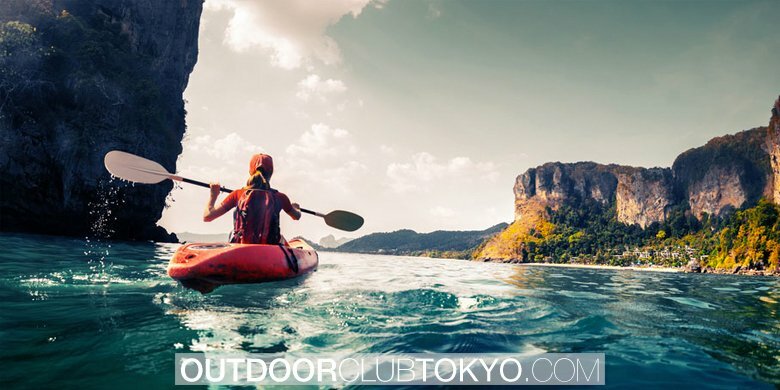 Even sit-on-top and recreational kayaks are relatively easy to paddle and most people of average build can paddle for several hours before becoming tired. Q: Is kayaking an expensive sport to get into? A: The answer to this question depends on your point of view and your entry level. A new paddler can spend anywhere from a few hundred dollars to a few thousand dollars purchasing a kayak and all of the necessary gear. However, polyethylene sit-on-top and recreational kayaks tend to be significantly cheaper than wood or composite day touring or expedition kayaks. Last, once you have all the gear, kayaking becomes quite inexpensive because all you need is gas for the car and lunch. Q: Where can I purchase a kayak? A: All major kayak manufactures today have web sites and their web sites have pages that list all of their dealers. In addition, many local sporting goods outfitters carry one kayak brand or another. Last, Amazon.com is an excellent choice for purchasing a kayak since they have a wide selection to choose from and some vendors offer free shipping. Q: Why is the weight of the kayak important? A: A lighter kayak is easier to load and unload from your vehicle and requires less effort to paddle. Q: Are the holds watertight? A: Yes, the storage compartments at either end of a kayak (called “holds”) are watertight. They are sealed on either side of the cockpit by bulkheads and the hatch covers seal to the hatch rims in such a way that they prevent water from entering the holds. Therefore, if the kayak capsizes, the watertight compartments at either end will prevent the kayak from sinking. Q: How do you transport a kayak? A: There are several manufacturers who make kayak specific car and truck racks and saddles. Also, you will need a set of nylon tie-down straps and a cockpit cover to keep debris from collecting in the cockpit. 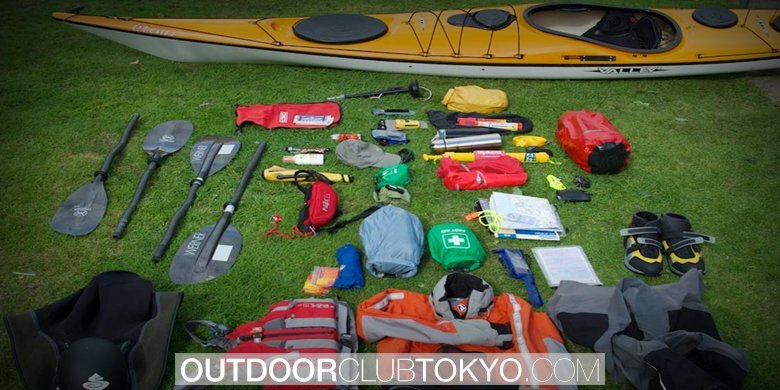 Q: How should I store my kayak? A: All kayaks should be stored on their sides either suspended from the ceiling with straps or on a purpose specific kayak storage rack. Q: What type of maintenance does a kayak require? A: All kayaks should be washed inside and out after use in saltwater to prevent corrosion of metal parts such as foot braces. Also, both composite and polyethylene kayak hulls and hatch covers should be coated periodically with a UV protectant to prevent deterioration.